Las Rocas - a grand private 5/6 bed, 5 bath villa sleeping 10/12 ,with swimming pool, overlooking the stunning beaches of Atlanterra and Zahara de los Atunes & the Atlantic ocean. Tennis 5 min, Golf 20 minutes, Kitesurfing, great walks , Dolphin and Whale watching. Available too is a chef, massage therepist and yoga teacher. Closeby there are a selection of excellent restaurants, fresh fish and veg markets. In the summer there are chiringuitos ( beachbars) some with live music open till the early hours. Exercise machine onsite to keep you even fitter. For the start Gail was helpful and answered all questions we had, and there were alot. She was an absolute delight and best property owner we have ever dealt with. Thenager, Curro, was a delight, incredibly helpful with tips, and helped us with shopping etc before we were down there and with suggestions for places to eat when there. 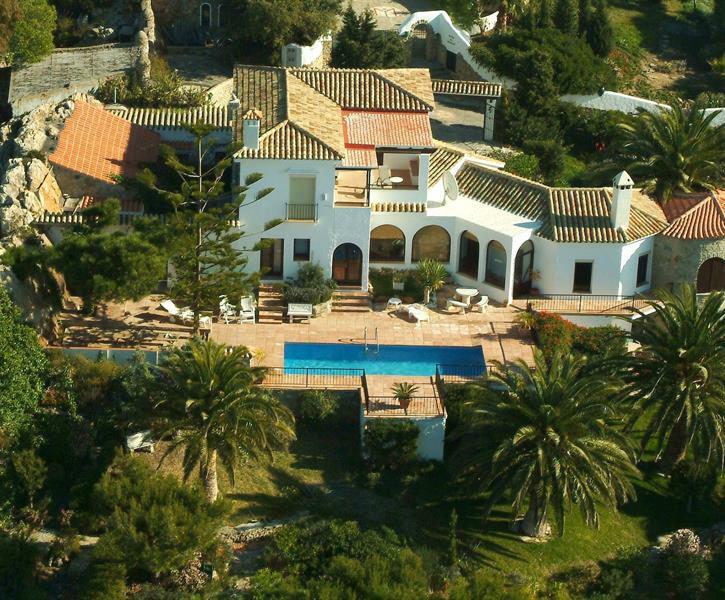 And finally, Las Rocas, absolutely spectacular views, comfortable house with loads of space for everyone, great location. We would do it again and again! Property was spacious so 8 adults traveling together were comfortable. Ocean and nighttime star views from the deck were beautiful. You can see Africa. The kitchen was well stocked for group cooking and we ended up cooking and eating in and enjoying the view numerous times. Hikes in the open spaces behind the house were great. The walk to the beach and restaurants was somewhat far so guests do need a car. We stayed for one week in August - it's a great place to relax with enough space for big or several families, very clean and well-tended with beautiful, big garden, almost on top of the hill with amazing view. We liked the local atmosphere of the estate matching perfectly the surroundings. The kids had lots of fun in the pool. We had everything we needed and the communication with the owner and the local staff (Curro) was always very prompt and pleasant. Getting up the last part of the hill and then into the entrance is a challenge but we always had fun manoeuvering our cars together ;) I already miss the place! Firstly I would say that the instructions for finding the villa were excellent. Thank you, as the last couple of kilometres can be very stressful at the end of a long tiring journey. We had not appreciated how elevated the villa was so when we arrived we were blown away by the views from the pool terrace and the upstairs bedrooms. All the rooms/ beds were very comfortable and the bathrooms clean. Air conditioning in the bedrooms would have been better as the ceiling fans only offered limited relief from seasonal temperatures. That being said, we all slept well enough. The kitchen was well-equipped although as a group of 10 we would have struggled for fridge space without the second fridge out the back. We hardly ate indoors as being outside under the trees was really special for lunch and dinner, including a great BBQ. After discovering some table tennis balls in the undergrowth that became a massive hit, particularly with the younger members of our group. By far the best feature for me was the pool terrace and garden area - beautifully kept, by the way. With enough loungers for everyone, including the big seats by the veranda this is where we spent most of our time...and of course there were those views! The layout of the villa was such that we could not be overlooked, not could we overlook someone else - great planning. The entrance is quite tricky to get in and out of so there was quite a bit of manoeuvering of cars (3 in our group) but sufficient parking for all. All the staff were helpful and friendly and Curro's suggestion for horseriding was great. We also went whale watching at Tarifa which was a good afternoon out. In terms of shops etc. the Mercado in Barbate was best for an initial big shop, therefater we used the local supermarkets or the market in Zahara. All in all this was a lovely place to stay for our group (ages from 19-67).